While working with those who are more vulnerable to illnesses such as a cold or the flu, it is very important for you to stay as healthy as possible. Not only will it avoid a situation where you pass on an illness to those you are caring for or even your own family, it will keep you from missing work and performing at your best. During the colder months we have a tendency to seek comforts, forgo exercise, and viruses and bacteria are out in force testing our immune systems. But these five tips will help you build your immune system and keep you feeling your best, even if the temperatures are freezing. During the cold, dark months, our carb cravings kick in and it can be tempting to fill up on unhealthy comfort foods and sweets. However, it is important to maintain a healthy diet, especially the 5 servings of fruits and veggies you should have each day. Instead of a sugary treat, try a juicy clementine instead. Also consider adding plenty of mushrooms to your diet. A 2009 study at Tufts University found that including plenty of mushrooms in your diet may help boost your immune system. Increasing your dairy intake can also help to boost your immune system. Milk, cheese and yogurt are great sources of protein, vitamins A and B12, as well as calcium. Be sure to choose low fat and skim milk options. Fiber is also part of a healthy diet. A 2010 study at the University of Illinois found that fiber in foods such as oats, apples and nuts not only helps reduce inflammation but it also strengthens the immune system by increasing anti-inflammatory proteins. A study done by the University of New Hampshire found that we might not feel as thirsty in cold weather. Remember to keep sipping on your water all day long to keep from getting dehydrated. If you allow yourself to become dehydrated, you leave yourself more vulnerable to getting sick as water helps carry nutrients to your body’s cells and get rid of toxins. Cold months also means turning up the furnace. The forced dry air can leave us feeling dry and itchy. To help combat the loss of moisture in your skin, consider using a humidifier and lavishly moisturizing after showers and hand washing. Using thicker lotions that come from jars rather than pump lotions can also help keep your skin better moisturized during the winter. And don’t forget to moisturize your feet daily. This will help keep fungi from entering cracked winter skin. Many feel sluggish during the winter months and this is due to a lack of sunlight which disrupts our sleep and wake cycles. To banish those blahs, be sure to spend as much time outdoors in natural sunlight as possible. Don’t forget to wear sunscreen, even in the winter, especially if you live or work in a high altitude location where there is less of Earth’s atmosphere to protect you from the sun’s damaging rays. Also make sure to get a good night’s sleep, being sure to go to bed and wake up at the same time each day. This will help you keep your circadian rhythms on track. And don’t shirk off your exercise routine. It may be tempting to skimp out when the weather is cold, but getting in a workout can help you feel energized. If you don’t feel like going for a run in the cold, try an indoor activity such as cycling. Don’t forget to de-stress by doing something relaxing like meditation or reading a book. Keeping your stress levels down not only makes you happier but it keeps you healthier too. Be sure to dress in layers to help keep you warm during the winter. 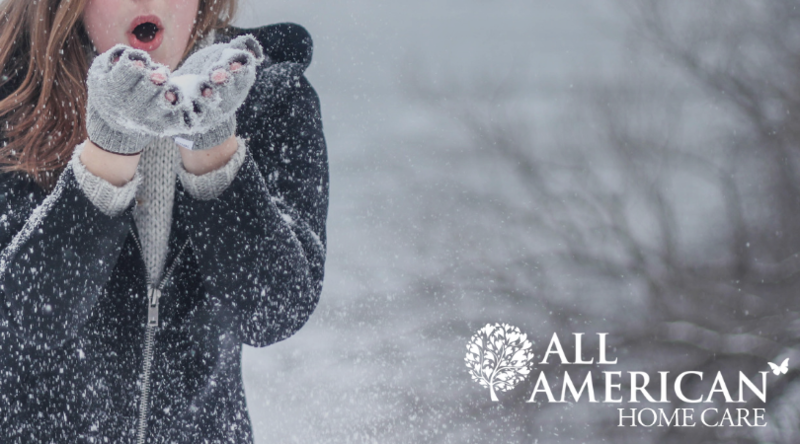 Make sure to always have a winter coat on hand as well as gloves or mittens and a hat or ear warmers. The warmer you keep yourself while out in the cold, the less energy your body will need to expend to keep you warm. If the weather forecast calls for rain or snow, don’t forget to wear waterproof boots and warm socks. Also, consider wearing socks with synthetic fibers that will wick moisture away faster. This will help keep dry, cracked feet from getting a fungal infection. We all know how important it is to wash your hands so don’t forget to lather up for at least 30 seconds before eating and after using the bathroom. Don’t forget to get your wrists as well as under the fingernails where germs like to lurk. Then be sure to moisturize your hands with some lotion after you dry them. Every time you visit a new patient, use some antibacterial hand sanitizer before touching the patient. And of course, be sure to get your flu shot. Not only will it help keep you healthier, but it will keep your patients healthier as well. And some of your patients may not be able to get the flu shot, so ensuring that you don’t pass it on to them is essential. By keeping healthy during the winter months, not only will you be able to ensure the health of your patients and perform your best at work, but you will also be able to enjoy your personal life more as well. No one likes to be sick in bed, especially when there is so much you could be doing otherwise. By following these tips, you can help ensure you won’t miss a moment!